Earlier this year, I was enlisted to create something for Bitcamp, a three day student organized hackathon here at the University of Maryland. Bitcamp was designed to foster an environment of exploration and experimentation, rather than one of competition, like many hackathons at other schools. Hence, the camp theme. After a bit of discussion with some of the organizers of the event, we decided to make the project a fake bonfire. The event was indoors, so a real one wouldn't be a great idea. This bonfire would be placed in the middle of the event and serve as a centerpiece where people could gather and relax or have discussions. It served this purpose very well. 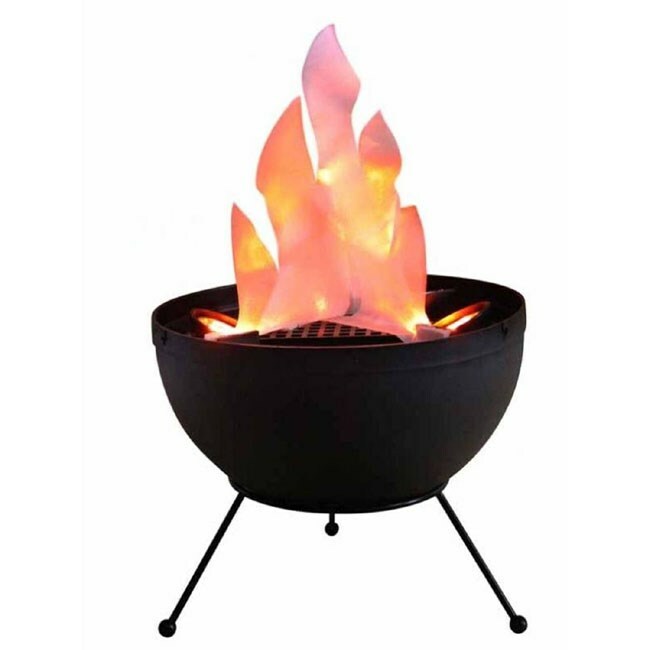 To make a fake fan-style fire, I'd need three main elements. First, some very lightweight silky material to act as the flame. Second, a fan would need to be placed underneath of the silk, blowing up on it. This, hopefully, would create a fire-esque flapping effect. 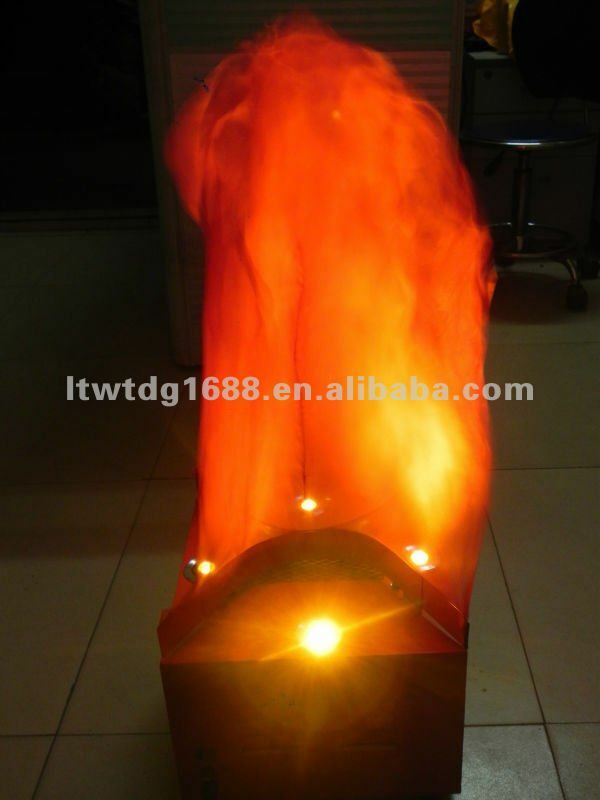 Lastly, the material needs to be lit in fiery colors. With these three elements put together well, a pleasing fire effect is possible. Some executions of this technique are more successful than others. I was hoping for mine to be, at the very least, not terrible. because they are cheap and very simply put together, which I know from experience with dismantling them for one of the images from my Milk in Motion photography project. I also liked the box fan design because I saw a way that I could take advantage of the frame that it already had, integrating three of them it into a larger frame. There was already two nice supporting struts that held up the fan motor, connected to the rounded square frame. I could use sections of that frame to recess the fans beneath the larger frame, as shown above. I cut the frames on the yellow lines shown, removing most of the two sides of the existing frame. For this project, I knew I wanted to weld together everything. Unfortunately, my welding experience is quite limited(I did it for like 20 seconds once). Fortunately, I was able to make some friends at Terps Racing to help me out. I got the materials, and in an afternoon we were able to put together the entire thing. After that came paint. Flat black for maximum suspension of disbelief. The horizontal hole punched tabs lining the frame are for mounting the lights. The vertical ones are for mounting the logs. The next task was installing the screw socket bases for the lights and carefully wiring the sockets and fans all neatly together so everything can be powered through a single cord. Notice that the speed control knobs remain in the position they were originally at on the box fan frame, which was pretty convenient positioning. The lowest speed seemed to work best. It was practically silent, and the more gentle breeze gave a more pleasing flame effect. At this point, it was around 8:00, and the project was looking pretty good so far to me. I spent the next few hours roaming around the campus with a friend looking for some wood. We didn't get back until 3:00 or so in the morning. Happily, we didn't have to cut anything live. We were able to find some fallen wood that was very sufficient. We also got some colored gel for the LED lights, since white doesn't make a very convincing flame. We affixed the logs to the frame, and also attached the silk. I cut the silk into whispy, fiery shapes and burned the edges to prevent fraying. The burned, slightly browned edges, also actually worked to make it more fire-esque. Many people thought that I did it purely for the nice aesthetic of it. By 4:30 AM, it was pretty much finished. Not that Bitcamp was that day, though. I didn't procrastinate that much. I just wanted to knock it out. The total cost of the project came out to $179.95, which, quite happily, came just five cents under the $180 budget I had guessed at and given to the organizers. In the light, it didn't look bad at all, but it was much more impressive in the dark. Unfortunately, at its installation at Bitcamp, it there was a fair amount of light. Nonetheless, it turned out well, and people liked it!